This group show featured works by Francesco Clemente, Sandro Chia, Enzo Cucchi, and Paddy Lamb. 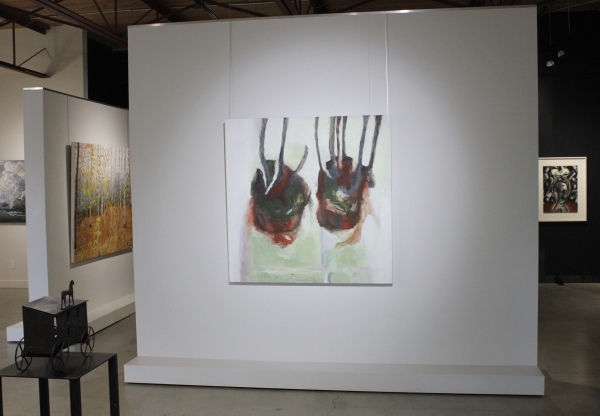 The works in this show were of a highly dynamic and loosely figurative style that emphasized color and representation. Drawing inspiration from art practices as distant as cave paintings of Lascaux, to the practice of the German Expressionists, the work in this show was highly symbolic and often intense. 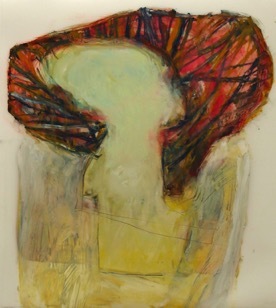 Alongside the Italian masters of the Neo-expressionism movement this show featured new works from Paddy Lamb. 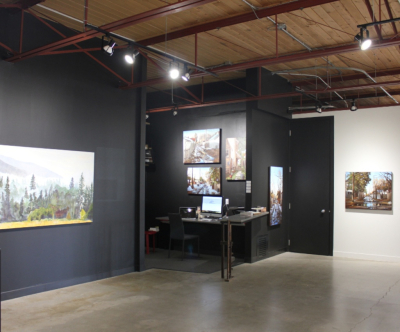 Lamb's work Clearing II (pictured to the right), explores history, social culture, memory and the effect of human society on nature. With his concentration on the places and objects we leave behind, the abstracted canvases of Lamb hold an uncanny intimacy with their viewers. Together with Clemente, Chia and Cucchi, Lamb's work came together in a show that is distinctive and highly vivacious. An exhibition featuring work by artists David Lachapelle, Hiroshi Sugimoto, Alfredo Jaar, Tacita Dean, Jackson Lowen, and Fish Griwkowsky. This photography show highlighted the marvelous ability of this wide-range of artist to produce photography in an entirely new way. 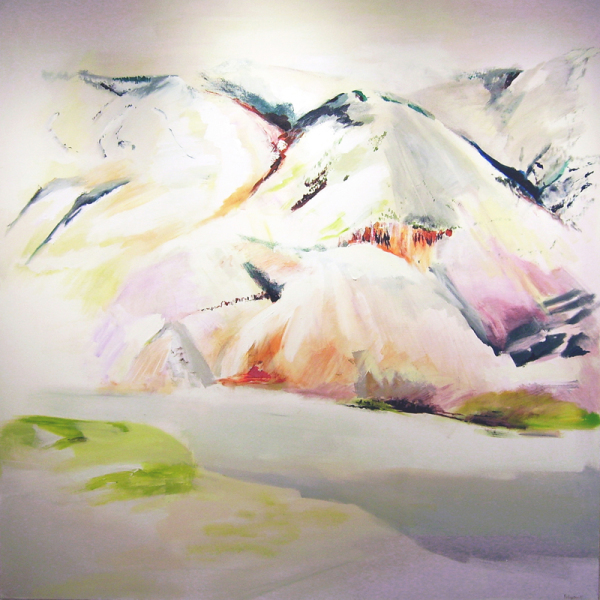 Rather than using photography strictly as a study of form and nature, the artists in this show investigate through imagery the nature of perception itself. Ranging from quiet observation to profound communication, the Salon dignifies photography in an age where it has become taken for granted. 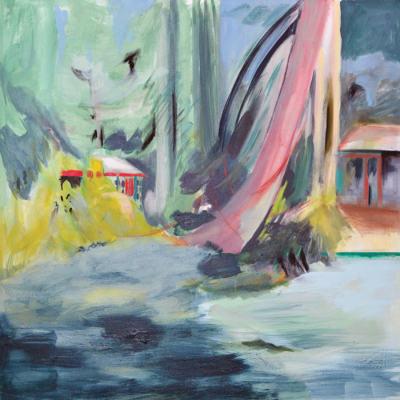 An exhibition featuring artists Peter Doig, Daniel Richter, Tom Gale, Kari Duke, Jeff Sylvester, Verna Vogel, Ira Hoffecker, Michelle Neumann, RFM McInnis, Tony Baker, Steve Coffey, Lisa Braun, and Blake Ward in a summer group show. 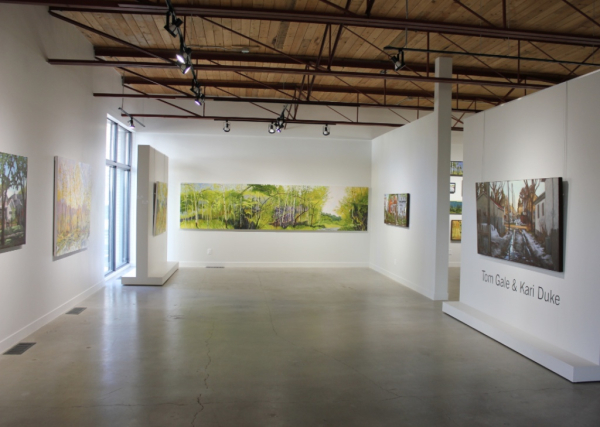 Canadian and International artists come together in a dynamic, contemporary show that explored themes of the urban and natural environment, as well as the complex relationship of humans acting in those environments. Summer Salon I showed a diverse range of styles and techniques, bringing together many talented artists in a thought-provoking and inspiring show. ​Blake Ward’s new sculptures from his Spirit collection are provocative figures that incite introspection. 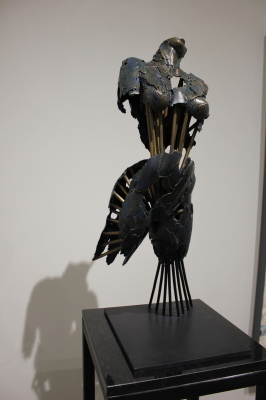 The Spirit series illustrates Ward’s contemporary approach to classical figurative sculpture and his development from firm academicism to a new liberating metallic expressionism building on the techniques of figurative sculpture developed in antiquity. His newest pieces challenge the classical figure by opening up the interior space of the human form as a way to search our inner selves. Holding fast to his love of the human figure, Ward remains true to the representational quality and the realistic proportions of traditional sculpture while simultaneously exploring new ways to comment on the trinity of human complexity: mind, body, and spirit. A historic 12 metre long painting, that was lost for 33 years, is now in Calgary's Glenbow Museum's permanent collection. It will go on display as of March 5th. The painting is made up of 13 sections, contains more than 60 portraits from Calgary's boom era arts district, 17th Avenue, just at its demise. The painter, RFM McInnis, of Winnipeg, painted it in 1981, at a time when the 17th Avenue art scene was coming to an end due to development. Painted from life, one figure at a time, in a coach house studio behind 17th Avenue, it depicted many of the noted artists, dealers, framers, patrons, many now deceased. 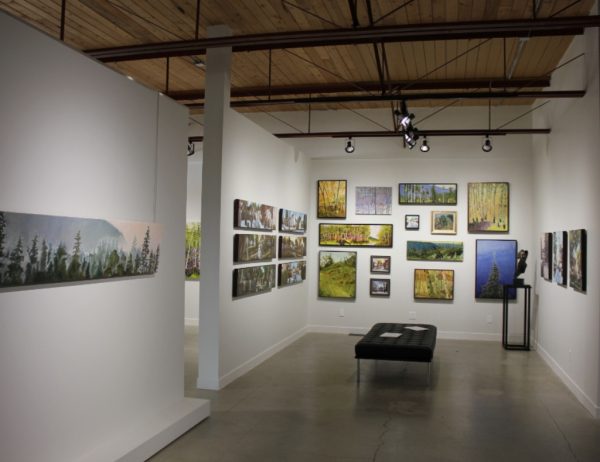 Hailing from Vulcan Alberta, Steve demonstrates his continued love for the big wide open skies and scenery that surround him, and his absolute expertise in depicting them. Also an accomplished musician, one can see how Steve effortlessly turns melody, harmony and lyric into soaring composition, subtle shifts of hue, and a singing palette of color. 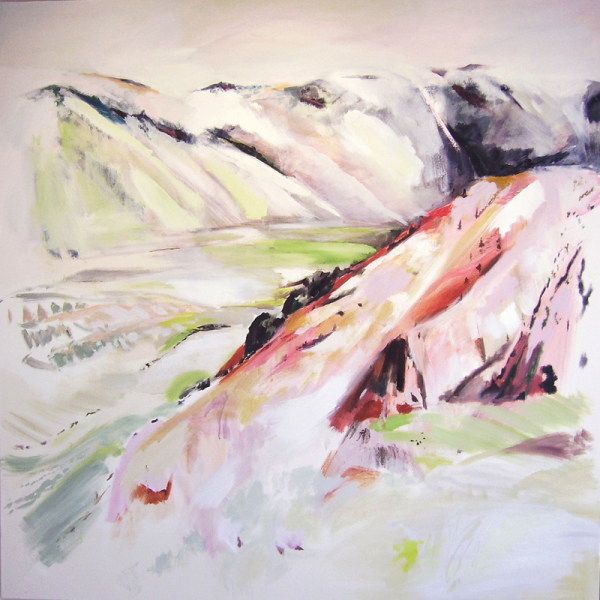 "My work is elemental, with a focus on nature and the forces with which humanity has to contend. I search for a distinctive atmosphere from the immensity and grandeur of the plains to the human mark etched upon it. With both a plaintive and expressive palette of light and movement I draw both from my past, a process I call "Memory Polaroids", and from the present day of all that surrounds me. My medium is oil on canvas and a guitar"